There's been so many new restaurants springing up in Manchester that I'm struggling to keep up; my 'must dine' list is becoming too long to comprehend. One source of such new eateries is the recently renovated Corn Exchange - the grand old Edwardian building between Selfridges and the Printworks that you'd have been forgiven for bypassing prior to the big relaunch. The focus for the Corn Exchange is definitely dining. With lots of new restaurants pitted around the grand central atrium inside, it's become a real hub for food and drink. 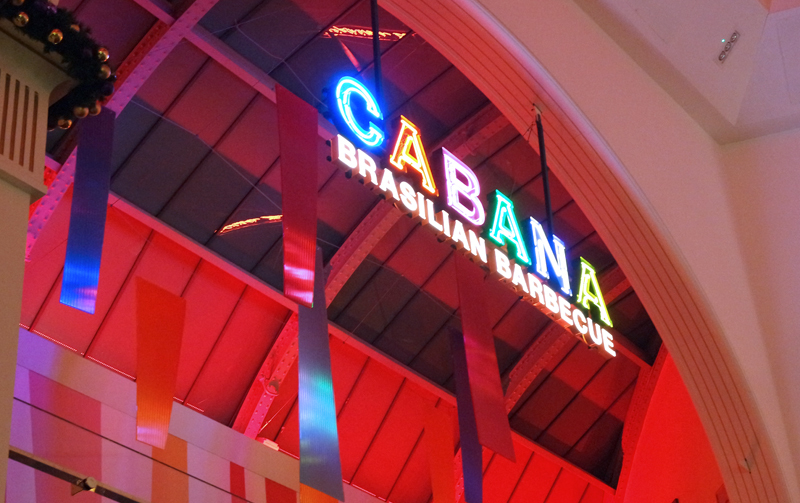 Itching to try some of the new restaurants there, I was delighted to be invited to test out Cabana, a laid back 'Brasilian Barbecue'-style venue. Brazilian street party vibes are definitely the order of the day at Cabana. We visited in the evening and found that the dark interior lit up with eccentric neon signs and string lights gave the place a great ambiance, though admittedly we did feel a bit left out of the party being seated in the outer area of the restaurant - I'd definitely recommend waiting for a table inside! We were promptly seen by friendly and helpful servers who were more than happy to offer their recommendations. 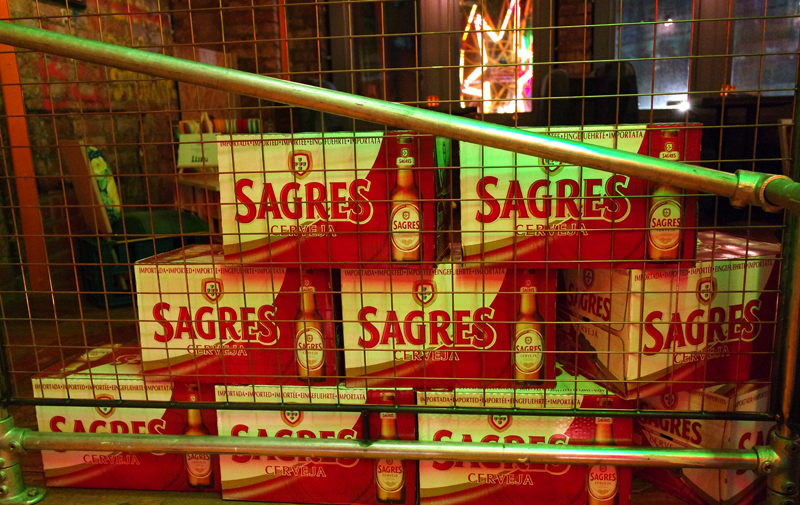 We didn't need much time on the drinks after seeing that they served Sagres - a definite contender as one of our favourite lagers, much loved during quite possibly our favourite holiday to Portugal a few years ago. On to the food. I decided to opt for Cabana's signature 'Malagueta Chicken', marinated chunks of chicken chargrilled with sweet peppers; I didn't regret my choice. 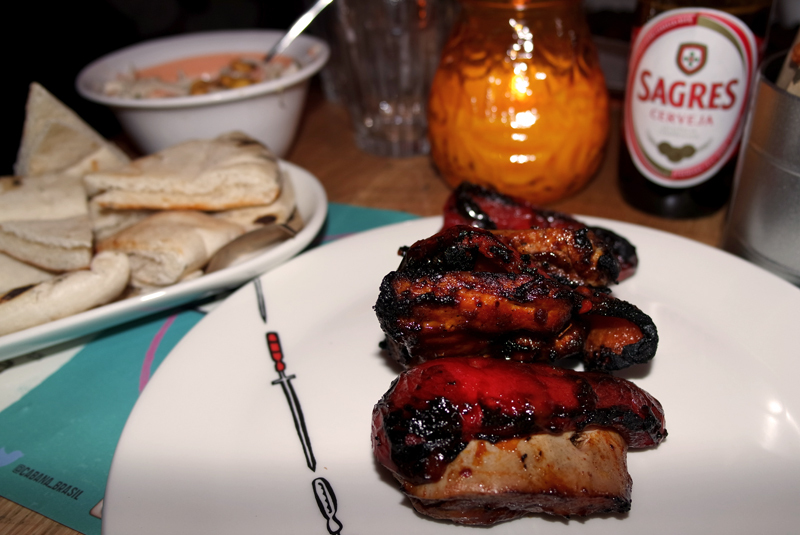 The chicken was beautifully sticky and flavoursome, with a underlying spice which gave it just enough Brazilian kick. Teamed with sweet potato fries (my favourite) and 'homeslaw', I also chose to supplement the dish with a side order of pitta from the streetfood/starter menu. Now this stuff is seriously good! 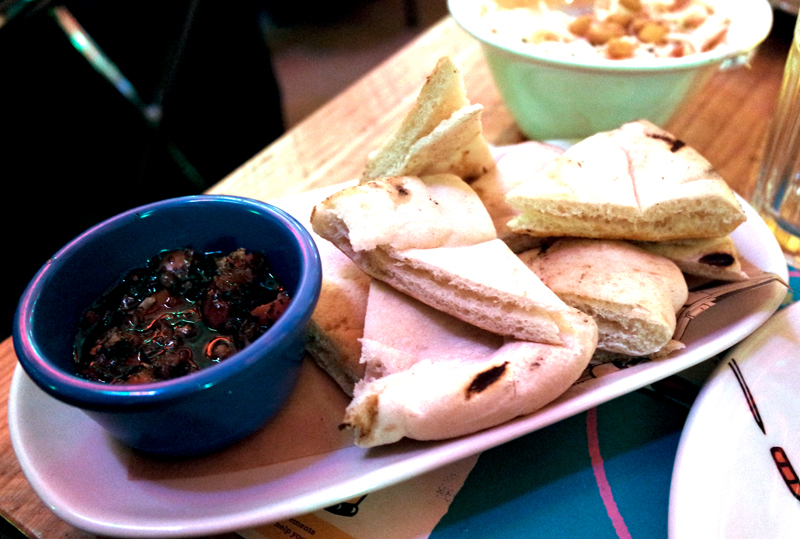 The pitta was so pillowy and soft - if it wasn't made in house, it certainly fooled me. I wasn't sure what to expect of the chimichurri dip it came with but was pleasantly surprised. Really tasty with a distinct smokiness, it was the perfect soak for the hunks of pitta. Chris decided on the rack of barbecue pork ribs, which were huge! The ribs would have easily been enough on their own, though come with a dish of the homeslaw too, and Chris also teamed them with a side of the cassava chips. Having never tried these before (neither had I), they were a bit of a gamble. 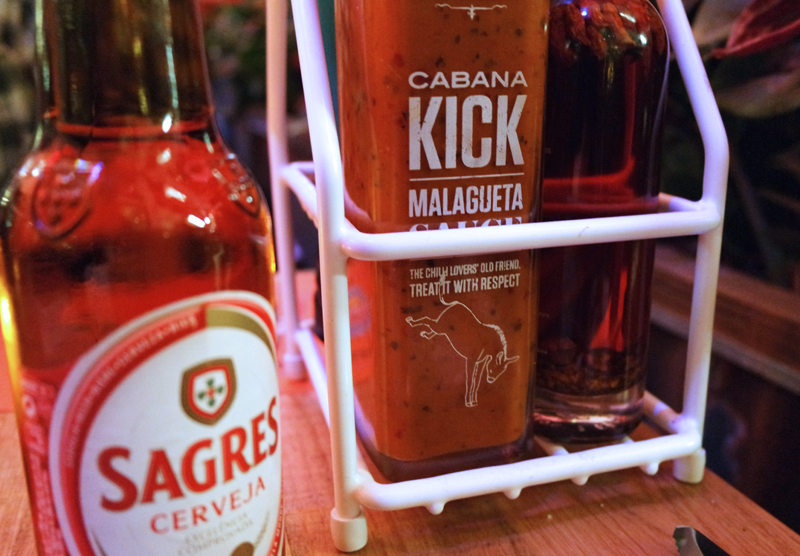 We thought they were a bit lacking in seasoning but were great to dunk in Cabana's signature Malagueta sauce which was on the table, with the same great flavours as my chicken main. I have a huge sweet tooth so had been looking forward to the desserts all throughout the meal. We decided to get two different plates and share them. 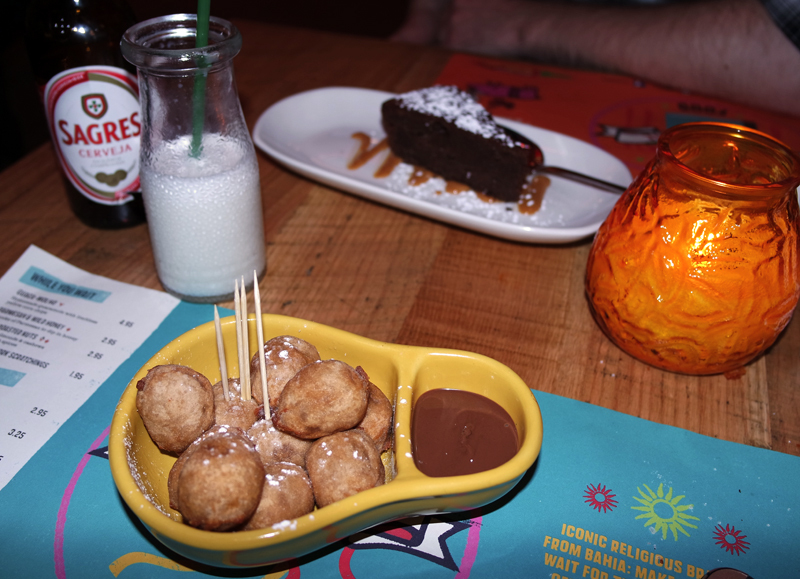 We went for the 'Nega Maluca' Brazilian chocolate cake and the 'Chocolate Raindrop' doughnuts. Warned that the doughnuts were very hot, we tucked into the cake - which was beautiful. With a rich chocolately taste and a dense, fudgey texture there was just enough here to happily share. The caramel sauce was an interesting but welcome accompaniment too. The waiter wasn't kidding, the doughnuts were ridiculously hot! After learning my lesson the first time, we waited a little longer to tuck in. Once optimum temperature was reached, these were heaven. 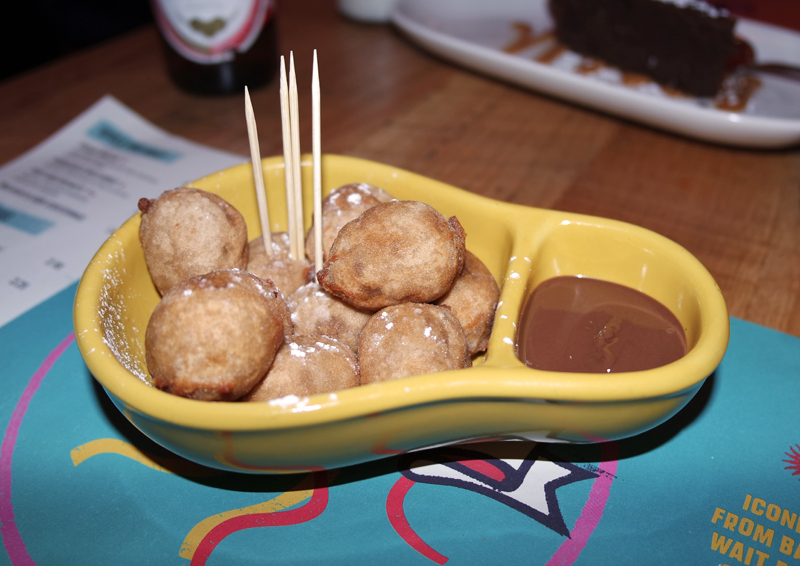 These fried doughnuts were filled with Nutella, with extra on the side for dipping. Washed down with Coconut 'Batida', made with cachaça and sweet condensed milk, my sweet tooth was satisfied. A perfect end to a tasty meal! I'd definitely recommend Cabana for a tasty lunch while out shopping in Manchester or maybe a casual dinner date. I fell in love with all the interior finishing touches that give the restaurant wonderful personality. Next time I pop by I will head upstairs to the 'Caipirinha Bar' for sure, which has hammock seating! Date night dressing can be tricky if it's just a casual affair and wearing a white shirt to a Brazilian Barbecue restaurant was definitely a risky decision but luckily I covered most of it with my super-versatile light waterfall blazer jacket from Luxemme. 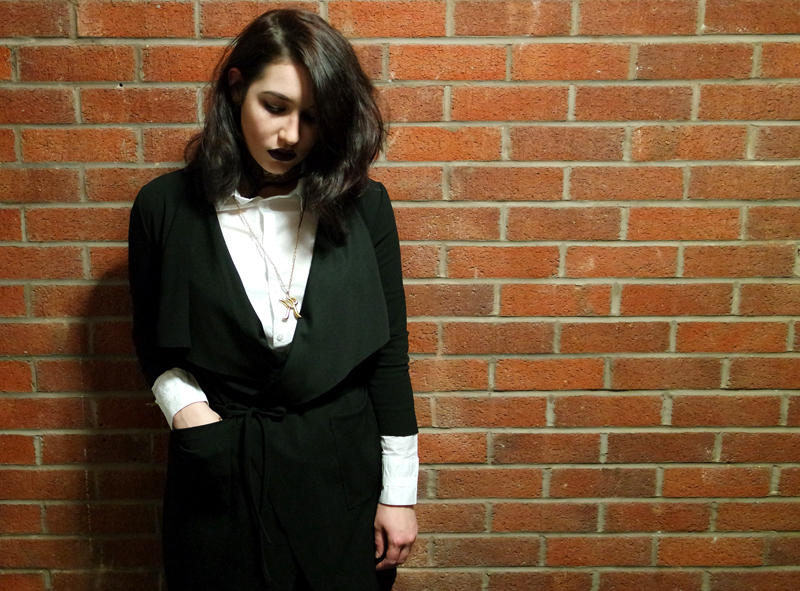 My go-to evening piece of the moment, this is ideal for dressing up the simplest of outfits. Luxemme are one of the best sites I've found for higher-end looking high street. 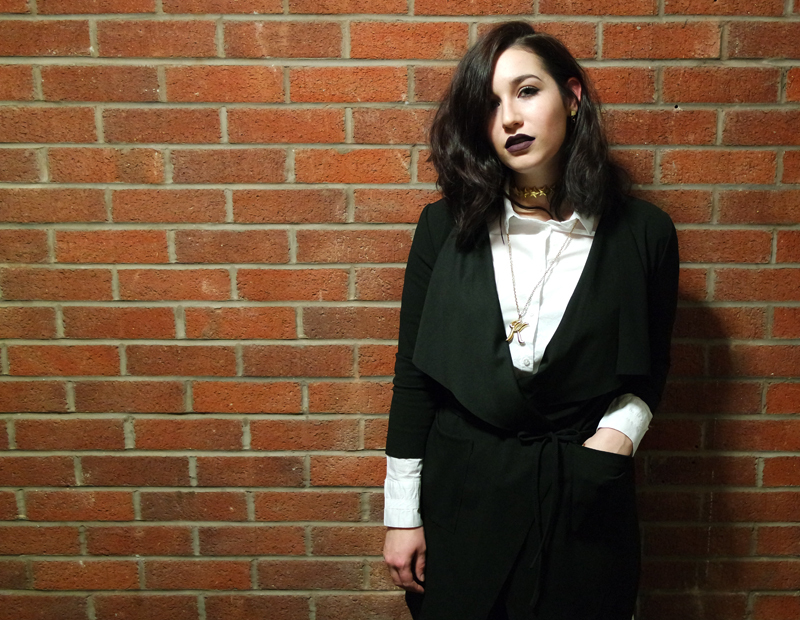 Have you got a fail-safe date night look? Oh, I am loving the Corn Exchange, it's about time it was revamped and now full of classy looking restaurants. I quite like Wahaca in there. I have thought about Cabana, thanks for reviewing it, I will have to pay this place a visit next! This place looks so cool will have to check it out soon!! The puddings looked amazing! Cabana caught my eye when I was walking to the tram today and I wondered what it was like - and now I know! The chocolate cake looks SO GOOD. I will definitely be making a stop there.